IPL has seen a lot of youngsters flourish over the years. When T20 was seen as a format for youngsters playing fearless cricket, we are starting to see that experience is key in this format and hence older players can also succeed equally well if not better. CSK has been a prime example of this as they won the IPL in 2018 when everyone called them an aging team. 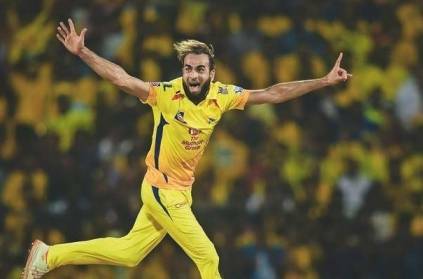 Now, In the game against the Knight Riders in Kolkata, we saw the 40-year-old Imran Tahir get 4 big wickets which dented the KKR innings. This page contains news relating to various facts and events. The views are generally about current affiars and general topics in diversified areas such as political, international, national, and regional issues, sports, health, travel, lifestyle, technology and business. People having similar interets on the above topics will find this page useful. List of bowlers to take most wickets after 35 | Sports News.